Hey there, and welcome!! We’re Alyssa Reaves and Cris Kober, co-creators of Let’s Create the Sweet Life. We want to share ways to create the sweetest life we can through eating delicious food with plenty of love, laughter and fun along the way! Our recipes are allergy-friendly and a mixture of AIP and Paleo (mostly AIP). Living well with Hashimotos since 2015, Alyssa is continually coming up with recipes that are healthy and family faves as well. And since creating the sweet life requires finding community, you’ll also find us writing about parenting, motherhood, and triumphing over obstacles. Join us! A former English and Film Studies teacher, Alyssa Reaves’ foray into writing began as a seven year old, when she dared to tell the tale of a duck going to college. For many years she also dreamt of owning a restaurant like her parents. Instead of becoming a restaurateur, she taught high school before becoming a mom. In 2012, after being diagnosed with Hashimotos, she started a journey finding ways to make delicious recipes gluten and dairy free. She is continuing her healing journey now by switching to a primarily AIP (autoimmune paleo) diet. Here, you’ll find a range of recipes that represent the process of her food journey – from just gluten and dairy free, to AIP and everything in between (paleo, keto). When she’s not cooking or writing, you can find her doing yoga, laughing with her daughter, or going on long walks. The beautiful photography you’ll find on our site is the work of Cris Kober. 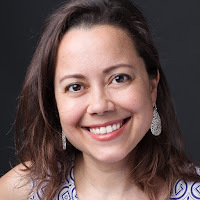 Originally from Brazil, Cris’ love for teaching the English language brought her to the US, where she went to school for Psychology and Cognitive Science. After a stint in the IT field, she took her passion for photography and began building her business. When she’s not snapping photos of her clients, you’ll find her photographing her daughter or practicing her love of drawing and lettering.